‘music for people who like art’ will be performed as part of London Contemporary Music Festival. 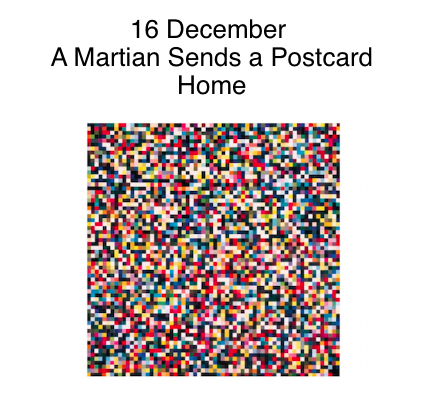 ‘A Martian sends a postcard home’ – the concert in which Hamilton’s work will feature – takes place at 7pm on 16 December. You can read about the concert here; tickets are available here.